Michael McIntyre has joined Manhattan Construction Co. as vice president specializing in healthcare sector construction. He brings three decades of healthcare construction experience to Manhattan, including $3 billion of healthcare program management, construction management and design-build project experience. 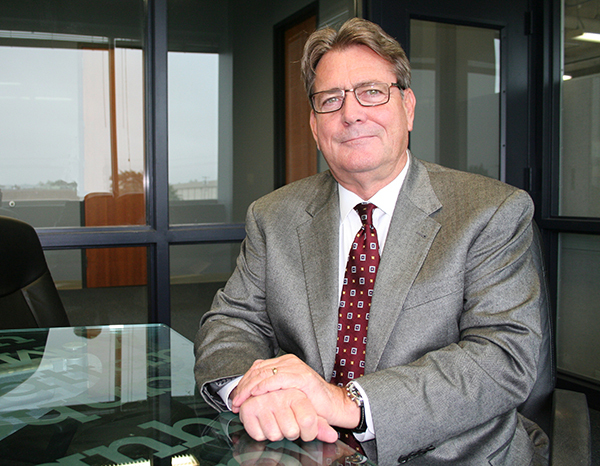 McIntyre most recently worked as national account and healthcare operations manager for Jacobs Program Management Co. Examples of his project experience includes account management of Kaiser Permanente’s Indefinite Delivery/Indefinite Quality (IDIQ) Program in Oakland, California, pre-construction management for an integrated design-build project for Detroit Medical Center in Michigan, planning and pre-construction program leader of Jackson Memorial Hospital’s Diagnostic Treatment and Food Service Pavilion in Miami, Florida. McIntyre has worked with some of the country’s most innovative and leading edge healthcare and research institutions, including The University of Michigan and Emory University Hospital, providing planning, pre-construction, construction management, commissioning and project activation services. McIntyre graduated with a master’s degree in business administration (MBA) from the University of South Florida and a bachelor of science in environmental engineering from Central Michigan University. He is licensed as a certified general contractor in Florida and is a LEED Accredited Professional BD+C by the U.S. Green Building Council. We are excited to share that Manhattan Construction Company Safety Director Matt Martinez has been selected by Construction Equipment Magazine as a 2015 Under 40 award winner. The Under 40 in Construction Equipment Awards honors those under 40 years of age who will lead the equipment industry into the future. Martinez will appear in the November issue of Construction Equipment Magazine. For nearly 20 years, Martinez has worked as a safety professional on a number of complicated projects including a $400 million hospital replacement project. His excitement for safety and its importance to the overall success of the construction team is contagious. Martinez is the youngest member of Manhattan Construction’s safety advisory board and was recently asked to join Call Okie 811, where he will serve on the Operating Committee. You are currently browsing the Manhattan Construction Group blog archives for November, 2015.